This was perhaps one of the most sensational announcements the Andy Jassy, CEO of Amazon Web Services (AWS) made during his keynote at the re:Invent 2018 show in Las Vegas yesterday. AWS has introduced AWS Outposts – a breakthrough allowing AWS customers to build their hybrid cloud strategy with the ease of management and still not owning the infra. AWS Outposts is an on-premise cloud option to deliver a consistent hybrid experience suitable to fulfil the need of enterprise-class customers wanting to get on to a hybrid cloud journey. In partnership with virtualisation giant VMware, AWS unveiled two very compelling options for enterprises yesterday. 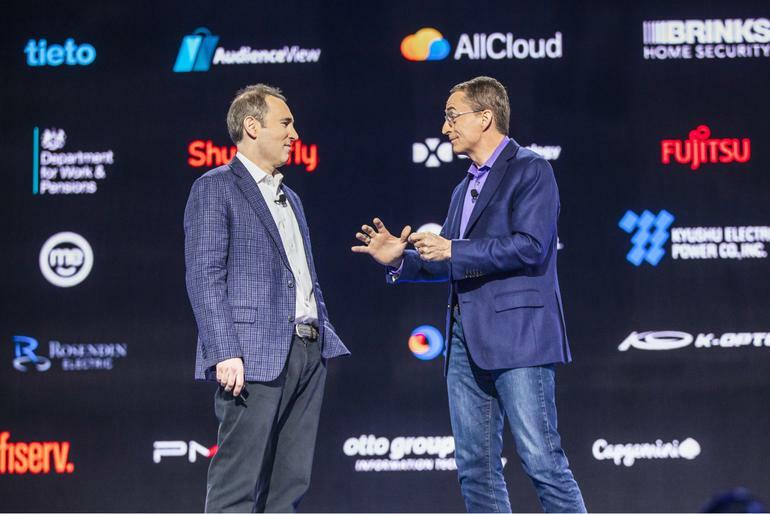 VMware CEO Pat Gelsinger came together with Andy Jassy for this joint announcement that underlines AWS’s future strategy to capture the entire spectrum of cloud computing with a hybrid approach. The second option will be AWS Outposts that will enable enterprises to run compute and storage on-premises using the same native AWS APIs used in the AWS cloud. AWS Outposts is a fully-managed, configurable compute and storage rack built with AWS-designed hardware, allowing users to run compute and storage on-premises, while seamlessly connecting to the rest of AWS’s broad array of services in the cloud. In both instances AWS provides its hardware and also maintains it for enterprises. Analysts and critics alike, have always taken AWS head-on for this missing link in the on-demand compute infrastructure space. Yesterday’s announcement comes as an acknowledgment that AWS recognises customers’ preference to operate in both public and hybrid cloud spaces as they augment their technology footprint to provide a wider, pervasive coverage for business needs. As mentioned earlier, the two variants of AWS Outposts gives the customers a reasonable flexibility to ride on the hybrid cloud wave. The VMware Cloud on AWS Outposts allows the VMware control plane and APIs to run your infrastructure and the AWS Native version allows to use the same exact APIs and control plane you use to run in the AWS cloud, but on-premises. The infrastructure is fully managed, maintained, and supported by AWS to provide access to all the existing and new AWS services. To get started, you need to log on to the AWS Management Console to place an order for the Outposts servers and choose from a range of options. Amazon Web Services seems to have responded well to the demands from all across the world to assist them in their own data centers besides the public cloud offerings. To a large extent this new push towards hybrid places Amazon in a different league of the Cloud Service Providers and will help it arrest the decline in the cloud market share. Probably this move will also address a lot of concerns around regulatory and/or data privacy issues such as GDPR and Indian Data Protection laws, which prevented the skeptics to move to AWS cloud. “Customers tell us that they don’t want a hybrid experience that attempts to recreate a stunted version of a cloud on-premises, because it’s perpetually out of sync with the cloud version and requires a lot of heavy lifting, managing custom hardware, different control planes, different tooling, and manual software updates. There just isn’t a lot of value in that type of on-premises offering and that’s why these solutions aren’t getting much traction,” said Andy Jassy, CEO of AWS. AWS Outposts allow you to choose infrastructure based on your needs. It can be easily upgraded with the latest hardware and next-generation instances to run all your native AWS and VMware applications. While this announcement doesn’t indicate that AWS is moving back from its public cloud push, it certainly puts a seal on the fact that the company is proactive in taking feedback and thus wants to capture the larger share of the pie that it may have not envisioned in the hybrid cloud space. Traditional data centers players like Microsoft, HPE, Dell, Oracle and others might have a new thing to worry about.